Fred J. Parry (Republican) was elected as Boone County's District I Commissioner in November 2016 and sworn into office on December 31, 2016. A native of Liberty, Mo. and a graduate of the University of Missouri, Fred began his professional career working for newspaper groups in Chicago, Washington, D.C., and Pittsburgh, PA. He is a former member of the advertising faculty at the University of Missouri School of Journalism where he created a media sales curriculum. He later worked as an advertising executive for the Gannett newspaper chain before he and his wife started their own publishing company in 1994 creating several magazines including the Columbia Business Times, Inside Columbia magazine, Prime magazine and CEO magazine. Fred was also the co-host of the popular Morning Meeting radio program on KFRU from April 2001 through October 2008. Fred has been very active in the local community serving as the Chairman of the Board of Trustees for Boone Hospital Center, past commissioner for the Columbia Housing Authority and former president of Columbia's Northwest Rotary Club. 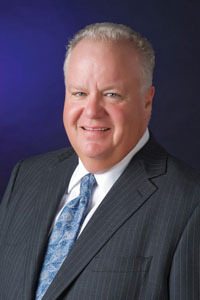 He has also served on the boards of the Columbia Chamber of Commerce, Arrow Rock Lyceum Theatre, KOPN Radio, the Missouri Symphony Society and the Food Bank for Central and Northeast Missouri. In 2006, Fred was named the Outstanding Citizen of the Year by the Columbia Chamber of Commerce. Fred and his wife Melody have two sons, Max (age 19) and Nick (age 17). Max is a sophomore at the University of Mississippi and Nick is a junior at Hickman High School in Columbia. Fred enjoys talking politics, refinishing antique furniture, leading a weekly men’s Bible study and spending weekends with his family at Lake of the Ozarks. Fred is also the founder of the CoMo Christian Men’s Conference and Columbia Christian magazine. They are active members of Woodcrest Chapel.